Lovin' Lyrics Music Promotions: A THOUSAND HORSES AND RAM TRUCKS PUT THE PEDAL TO THE METAL WITH "MY TIME'S COMIN'"
A THOUSAND HORSES AND RAM TRUCKS PUT THE PEDAL TO THE METAL WITH "MY TIME'S COMIN'"
Filled with tough-as-nails determination and led by frontman Michael Hobby’s signature vocals, “My Time’s Comin’” was used to reveal Ram’s new heavy-duty models at Monday’s (1/14) 2019 North American International Auto Show, and will be promoted through a creative collaboration with RAM TRUCKS throughout 2019. RAM TRUCKS are the longest lasting heavy duty trucks on the road, and the #2 heavy duty pickup brand in the world. Currently enjoying an explosion of excitement as the fastest growing truck brand in North America, the all-new 2019 Ram Heavy Duty is the most powerful heavy duty pickup in history, offering drivers an unheard of 1,000 pound-feet of torque. Featuring Hobby alongside Bill Satcher (lead guitar), Zach Brown (guitar), and Graham Deloach (bass), A THOUSAND HORSES released BRIDGES in the summer of 2017 – a six-track EP which included the working-man’s anthem, “Preachin’ To the Choir.” They spent early 2018 firing up arenas around the country as direct support on KID ROCK’S AMERICAN ROCK N ROLL TOUR, and in December, “My Time’s Comin’” was first heard in CBS Network’s “One Shining Moment” coverage of the National Finals Rodeo. For more information and tour dates, visit AThousandHorses.com. 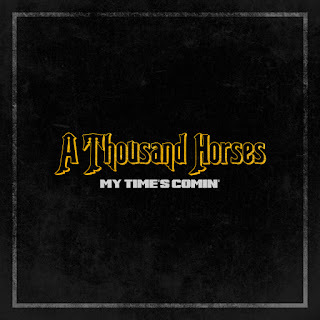 Reach out to A THOUSAND HORSES on Facebook, Twitter, Instagram and YouTube.